La Renaissance started in 2004 with 66 pupils (27 girls, 39 boys) in 4 classrooms, with 5 teachers but no blind children due to the fact the teachers were not literate in braille. There are now 334 pupils (179 girls, 155 boys) including 40 children who are either blind, visually impaired and 10 of which are either orphans or have another disability. There are 6 classrooms, 14 teachers, 1 secretary, 2 security guards (all braille literate) as well as 2 dinner ladies and a cleaner. There are 2 extra teachers for back up and their main duty is to transcribe normal textbooks into braille using Perkin machines donated to the school by Henshaws of Manchester and by Light for the World. When started there were fewer than 30 schools in the area, there are now 97. Some are government schools, (no fees, teachers are paid by the government) others are private (fee paying); La Renaissance practices ‘social school fees’. They charge parents £40 per annum compared to £80+ in most private schools. In government schools parents do not pay fees. 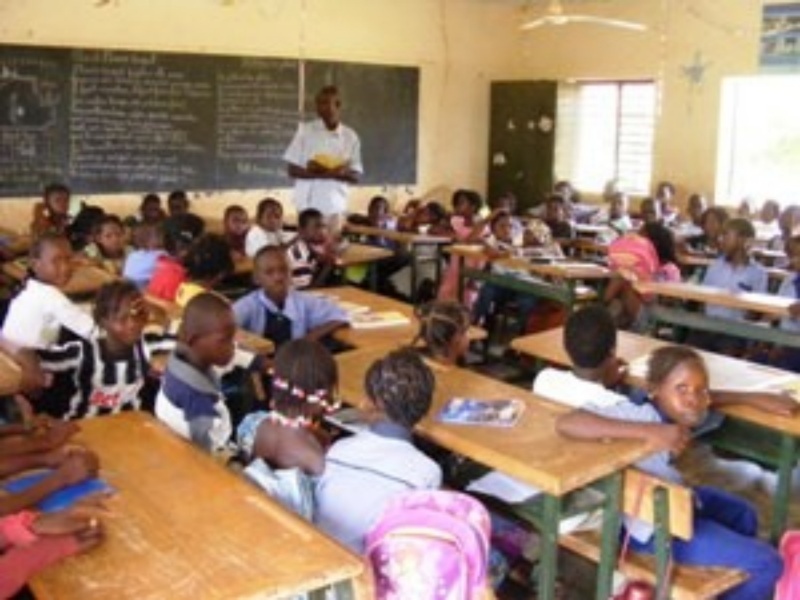 Corruption is high, classrooms are overcrowded (90 pupils per classroom). La Renaissance tries not to have more than 50 with 2 teachers.Low fees are possible due to the financial support of BCF and the government paying 60% of the wages of the teaching staff and this is due to the fact blind children are welcome.The school fees collected go to paying wages, foster care and bill paying. The fees cover 5 months of the year and BCF cover the remaining 7 months. BCF also covers the cost of the canteen and the fees for the blind college students and school materials.